JJC Z-O14-42 self-retaining auto lens cap is a creative and latest patent product designed by JJC company. It is designed for Olympus M.ZUIKO DIGITAL ED 14-42mm f/3.5-5.6 EZ Lens, Panasonic Lumix G Vario 12-32mm f/3.5-5.6 ASPH. Lens and Olympus M.Zuiko Digital 17mm f/2.8 Lens. This lens cap will be an indispensable accessory for your lens. It adopts a screw-in design and can be mounted to the lens front without scratching the lens. The four leaves of the lens cap will automatically hide as the lens extends, so you don’t need to remove it from the lens when you want to take photos. It helps to ensure that you don't misplace or lose your cap. The four leaves can automatically close as the lens retracts. 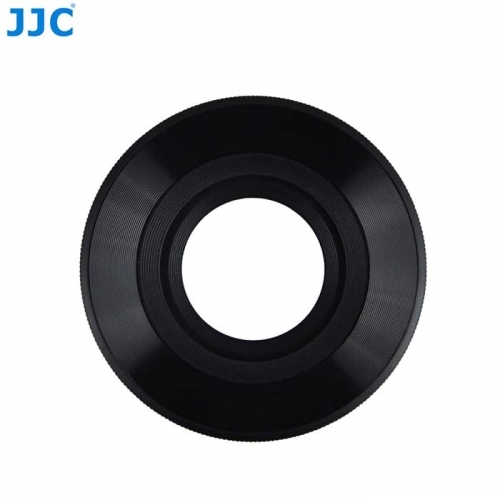 At this time the lens cap can protect your valuable investment from dust, moisture and scratches. With its easy installation feature and slim type design, the lens cap is approachable for both new camera users and professional photographers.